Kensington Publishing Corporation, 9780758258571, 416pp. Bestselling author Jackson deftly takes readers to the edge of sanity--and back--in a gripping novel where a mother's worst fear is only the beginning of a terrifying nightmare, and the truth is more dangerous than she can imagine. 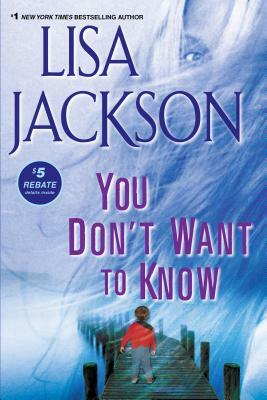 Lisa Jackson has been writing romantic fiction for fifteen years. Oversixty of her books have been published and reprinted in more than adozen foreign languages. A single mother, she is a native of Oregon, where she still resides with her two teenage sons.Lisa is often asked what is the key to her success, and her unfailinganswer is a keen imagination, incredible friends, loving family, andalways, loads of laughter. As Oscar Wilde is purported to have said,"Life is too important to be taken seriously."